Characterization of packaging in various industries has become more important due to ever-increasing global regulations. The first regulations for plastics used in food packaging and contact materials were established in 1982 in Europe1, which have been expanded in recent years.2 In the pharmaceutical field the need for extractables testing was recognized in the 1990s.3 Manufacturers are required to evaluate packaging for the possible migration of additives and ingredients into the final product because of the potential impact extractables and leachables can have on patients’ health.4,5 Extractables in the pharmaceutical industry are defined as compounds that can be extracted from packaging materials or devices under controlled experimental conditions. Leachables, a subset of extractables, are compounds that actually migrate into the final product during expected shelf or contact time. The latest addition to the industries that require testing of packaging is the cosmetics industry. 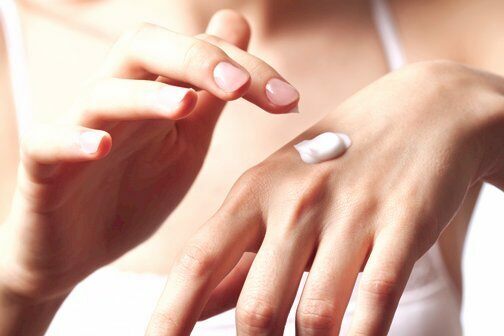 The most recent regulations for the cosmetics industry in Europe (EU Regulation 1223/2009) Annex 1 states that “impurities, traces, information about the packaging material must be determined”.6 For the cosmetics industry the impact from leachables would depend on the route of application. For example, it would be less critical for cosmetic products that are applied to the skin such as body creams than it would for products that can be ingested or absorbed through the eyes, such as lipstick or mascara. The initial step for characterizing extractables from packaging involves targeted screening, i.e., testing the extracts for known compounds. This is a well established process that can be performed using various analytical techniques ranging from GC-FID-MS to LC-UV/MS. However, the final packaging may have impurities present from the starting materials and additional degradants such as those formed during the molding process. The first step in ensuring that these compounds do not pose any toxicological risks to the consumer is to identify the extractables, or at least their structural class. The structural elucidation of unknowns is typically a very complex and time-consuming process that requires the analyst to have a higher level of expertise. Waters UNIFI Scientific Information System utilizes accurate mass and fragment information to simplify data review and facilitate the decision-making process. It allows analysts to evaluate complex data in a more efficient way and quickly make decisions about the possible identity of an unknown compound. To learn more download the Application Note: Non-Targeted Screening Analysis of Packaging Extracts Using the UNIFI Scientific Information System. Official Journal of the European Union. 2011, Regulation 10/2011/EU. D L Norwood, L M Nagao, C L M Stults. PDA Journal of Pharmaceutical Science and Technology, 67 (5): 413–429. 2013. M P Balogh. Testing the Critical Interface: Leachables and Extractables. LCGC, June 1, 2011.